Ahed Tamimi who challenged the Israeli soldiers that had arrested her brother was awarded with ‘Handala Courage Award’. 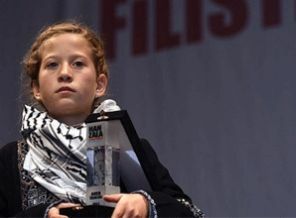 Palestinian girl Ahed Tamimi who challenged the Israeli soldiers that had arrested her brother was awarded with “Handala Courage Award” in Istanbul on Wednesday. Visiting Turkey as being the guest of Basaksehir Municipality of Istanbul, 13-year-old Tamimi attended a series of events ahead of the award ceremony and opened an art exhibition titled “Being children in Palestine”. She thanked Turkish children for welcoming her as she was one of them, and called on the Palestinian children to stand tall, at the ceremony. Tamimi said she was proud to get the Handala award which would enhance her strength. 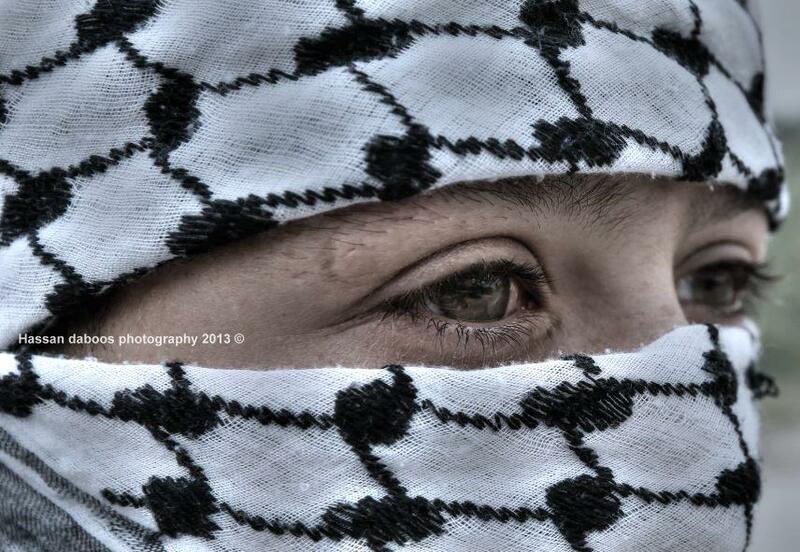 She said she showed her fist to the soldier and thought she could make Palestine free. Answering questions of AA correspondent, Tamimi said she would like to be a lawyer in order to contribute to the Palestinian issue. Handala Courage Award, handed out by the Basaksehir Municipality, was named after the cartoon character Handala created by Palestinian cartoonist Naji Salim al-Ali noted for the political criticism of the Arab regimes and Israel in his works. 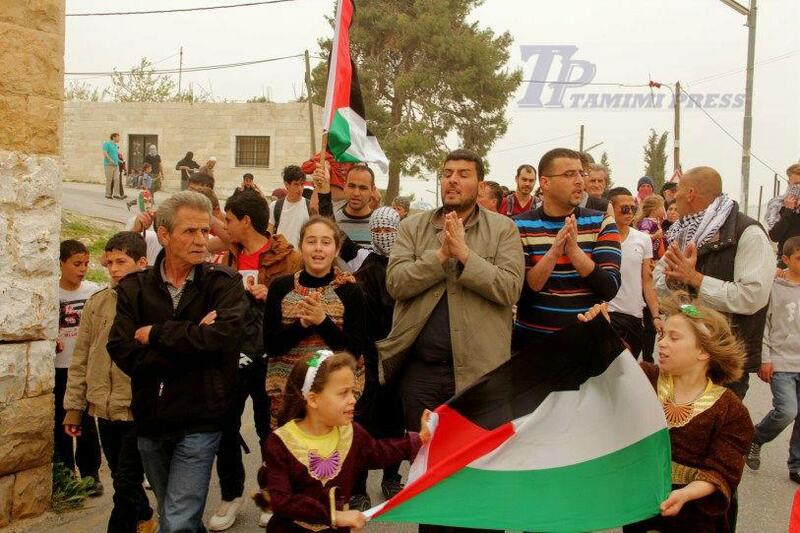 Dr. Layla Ghannam, the Governor of Ramallah and Al-Bireh and the first female Governor in Palestine joined the protest in the small hilltop village. 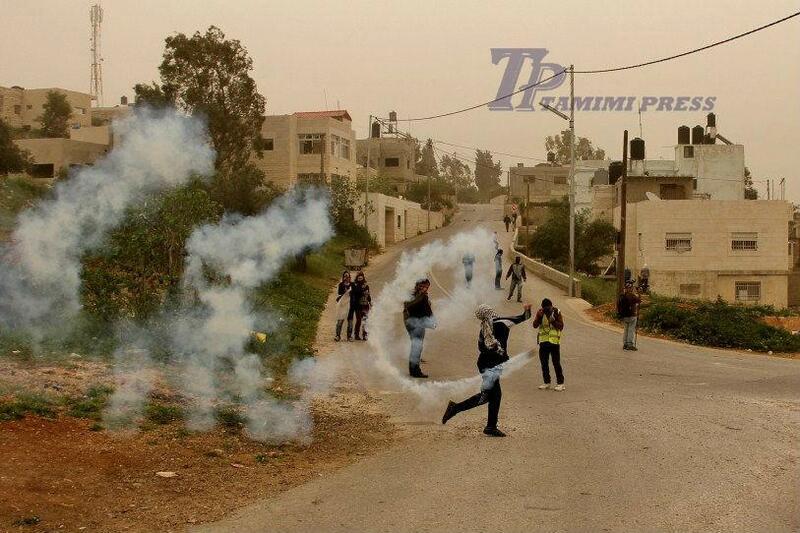 15 protesters were injured as the army violently dispersed the peaceful march. 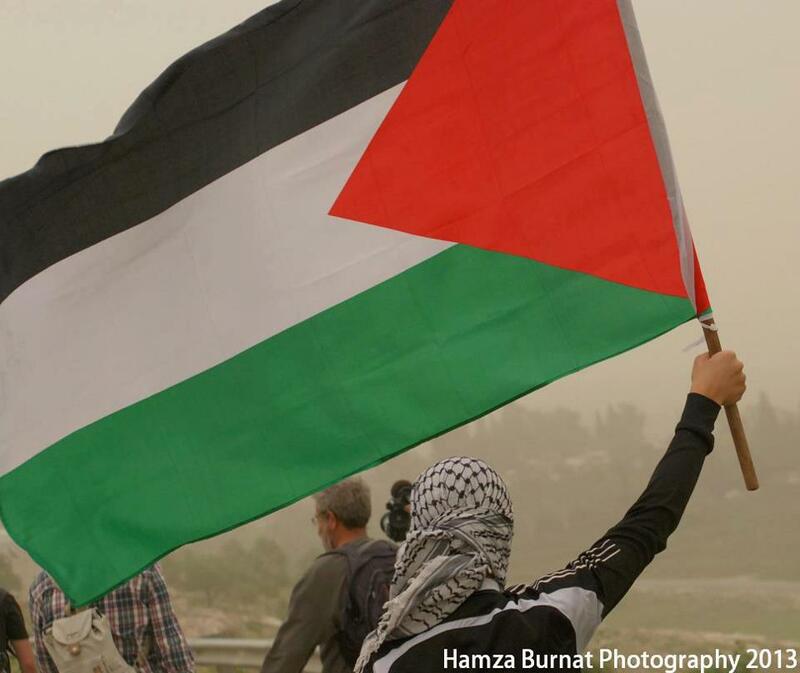 With popular protest throughout Palestine gaining momentum, especially concerning the pressing matter of political prisoners, villages like Nabi Saleh serve as a symbol of resilience and persistence. Public representatives and journalists from all major Palestinian media outlets came to the village today to join and witness the weekly demonstration, most notably Dr. Layla Ghannam, the Governor of Ramallah and Al-Bireh and the first female Governor in Palestine.The demonstration started from the center of the village shortly after the Friday prayer. Protesters marched towards the main road of the village, only to be met with extensive shooting of tear-gas canisters and rubber coated steel bullets. Fifteen protesters were injured during this unwarranted assault and most of them were treated in the field. 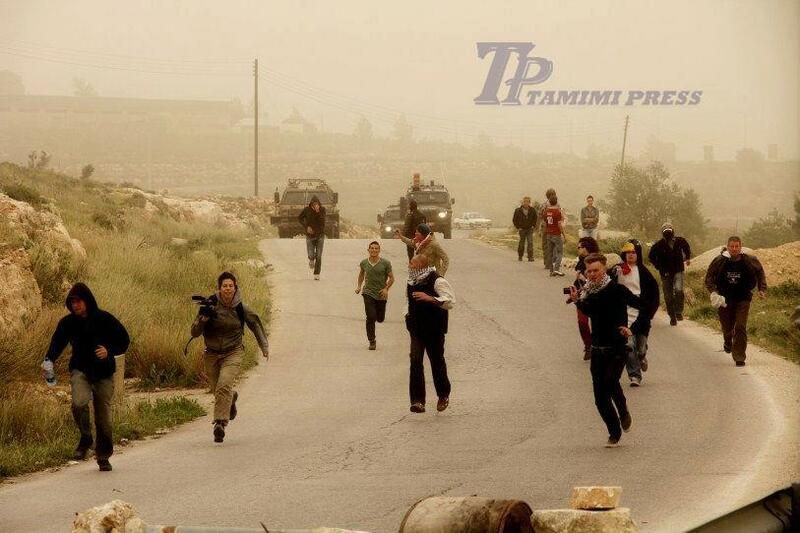 Clashes maintained for a few hours, following which the army retreated. No arrests were reported. 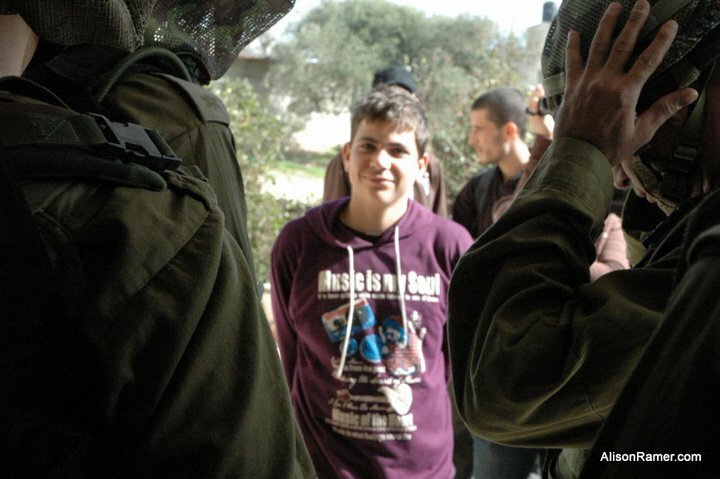 Background: Nabi Saleh is a small village of approximately 550 people, twenty kilometres north west of Ramallah in the West Bank of the Occupied Palestinian Territories. The Israeli colony of Halamish (also known as Neveh Tzuf ) was established on lands belonging to the villages of An Nabi Saleh and Deir Nidham in 1976. 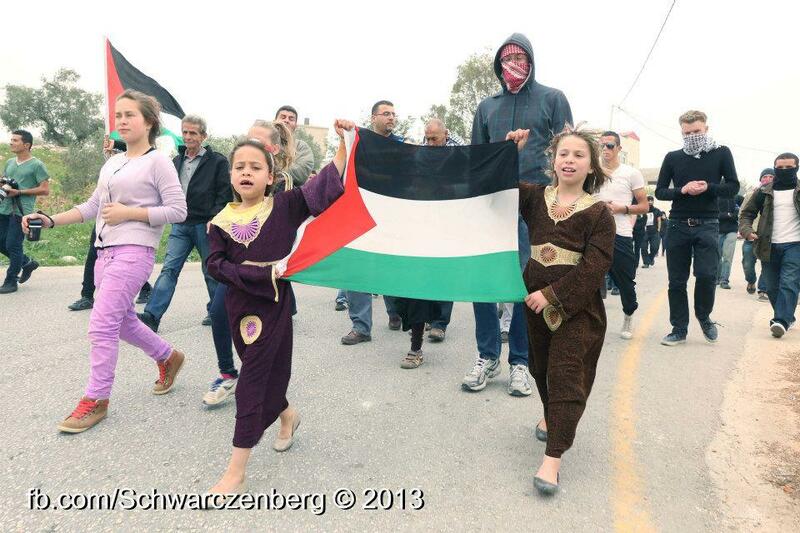 In response to the illegal colony being established on their land, the residents of An Nabi Saleh and Deir Nidham began holding demonstrations in opposition to the stealing of their land and the establishment of the colony (whose establishment violates international law). The residents of An Nabi Saleh and Deir Nidham lodged a court case against the colony in Israel’s high court, but were unable to stop the construction the illegal settlement. Following the recent murder of Mustafa Tamimi and the employment of live sniper-fire against demonstrators last week, protesters dedicated this week’s march to the memory of those who have passed in struggle. Protesters marched from the center of the village towards village’s lands today, under the slogan “Martyrs are not number”, commemorating the struggle’s martyrs and their sacrifices. As the procession advanced down the road, it was greeted by a barrage of tear-gas projectiles, many of them shot directly at the protesters, by the Israeli Border Police officers who took positions on the village’s main road intent on stifling the march. The demonstrators were also hosed with rancid water shot from a high pressure water-cannon, which Israel euphemistically refers to as “The Skunk”, as well as rubber-coated bullets. 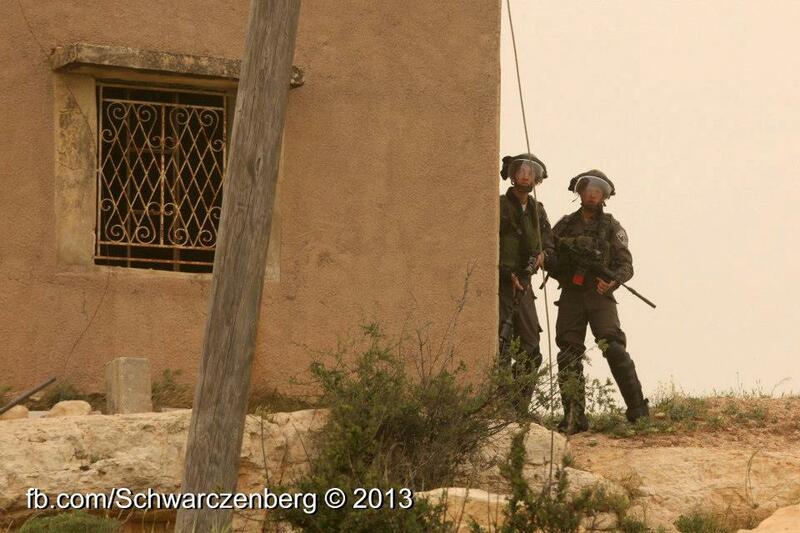 As it proved impossible to advance on the road, some protesters set on reaching village’s lands tried to skirt the soldiers by descending towards the village’s spring that settlers are trying to take over from the hill on the western side of the village. While some succeeded in reaching quite close to the spring, they were met by the same brutality protesters faced on the main road, and were eventually forced to retreat. No serious injuries or arrests were recorded.